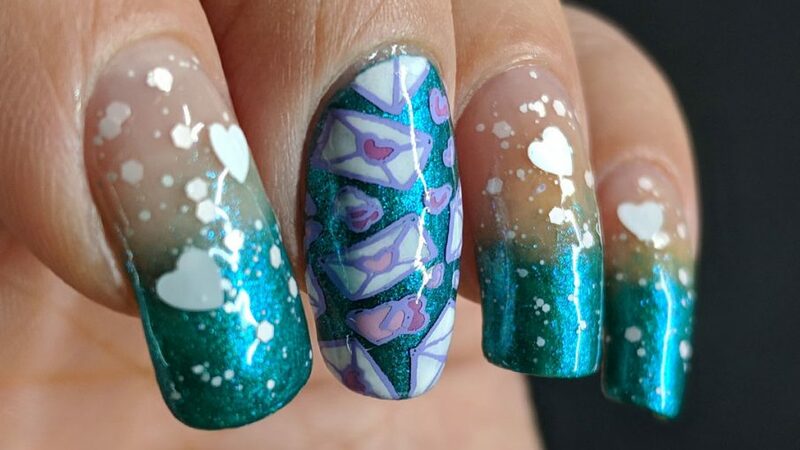 This stamping plate comes with twelve full nail patterns and four individual images. I am not sure how it happened, but there are cats on this stamping plate and I haven’t used them yet. I like that the top six images are patterns and the bottom are more scene-like. That feels very re-mixable. Also, that couple standing up the tree with the birds overhead? You can totally get rid of them and put anything you want underneath. I love that trick. Other things like the silhouette of the couple leaning towards each other are very typical in the stamping plate world. 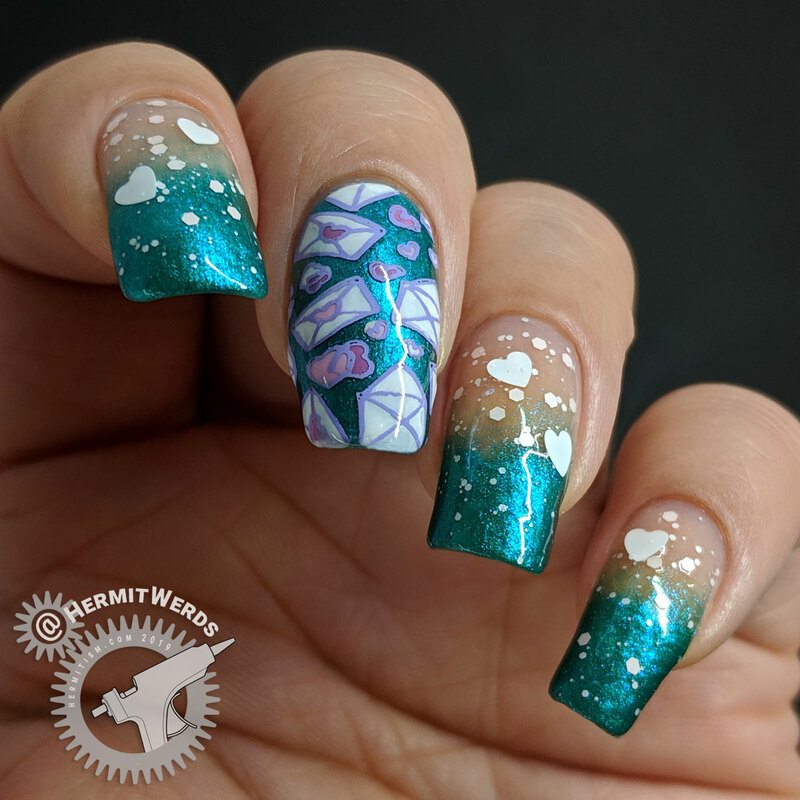 I have at least two other stamping plates with something similar. Ditto with the beak to beak song birds. My favorite image on this plate is the girl with the balloons and roses. 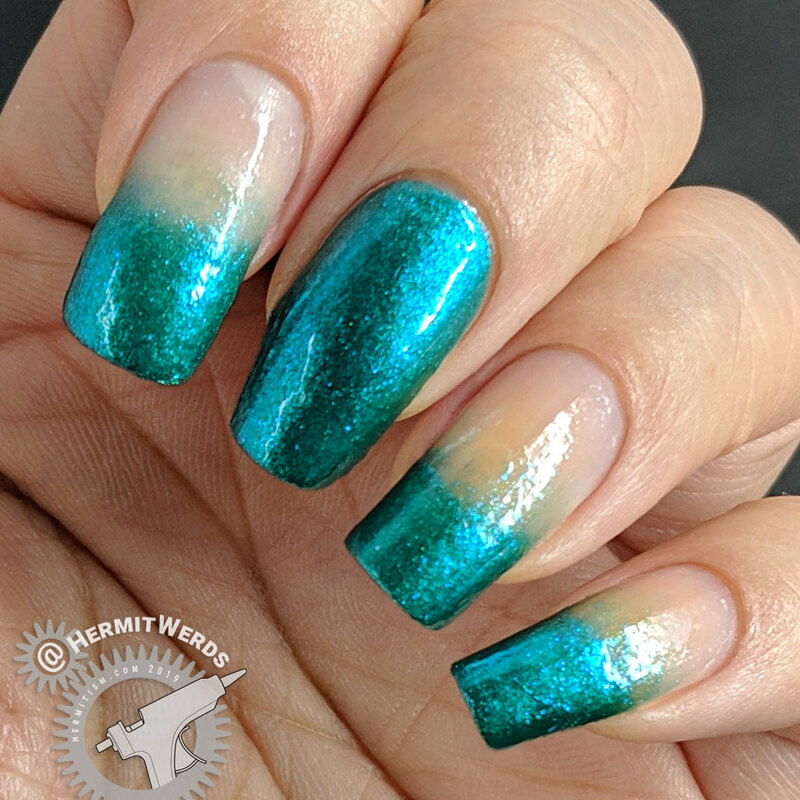 It has such pretty details and can easily be used for a birthday mani too. My least favorite image is the couple with the “kiss” heart. They look very stiff and not into each other. I would not be surprised if the original sketch had more character and that got lost when the lines were finalized for etching. 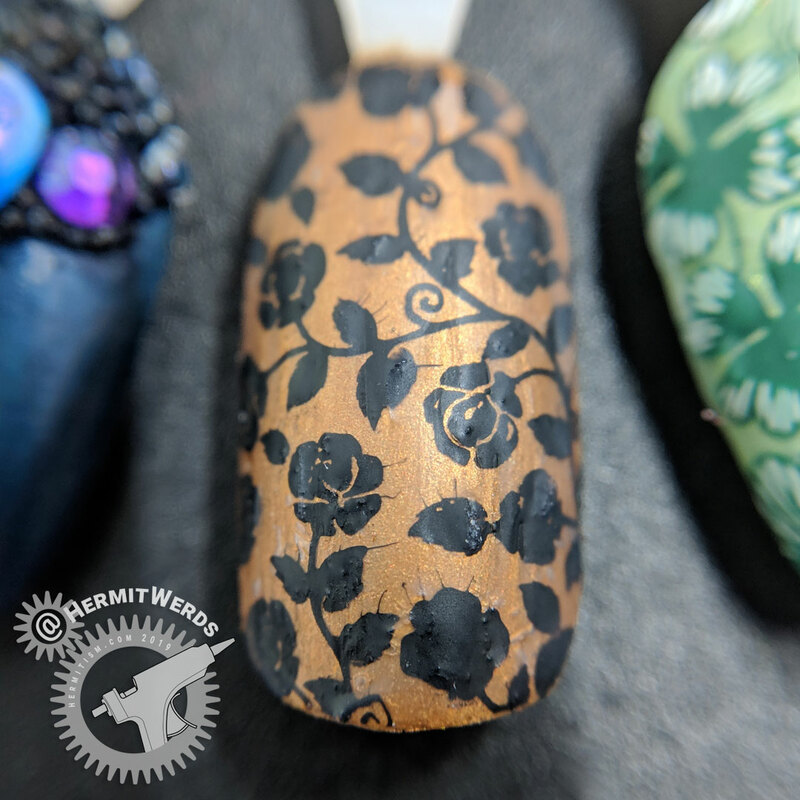 I saw the rose image and thought it would make a fantastic damask pattern so the only thing left to do was to pick a rich-looking golden brown color. Match made in heaven, though I did have some trouble with the matte top coat I used. Rose Damask. Background is NYC’s “Crown Gold“. Stamping done with Mundo de Unas’ “Black“. 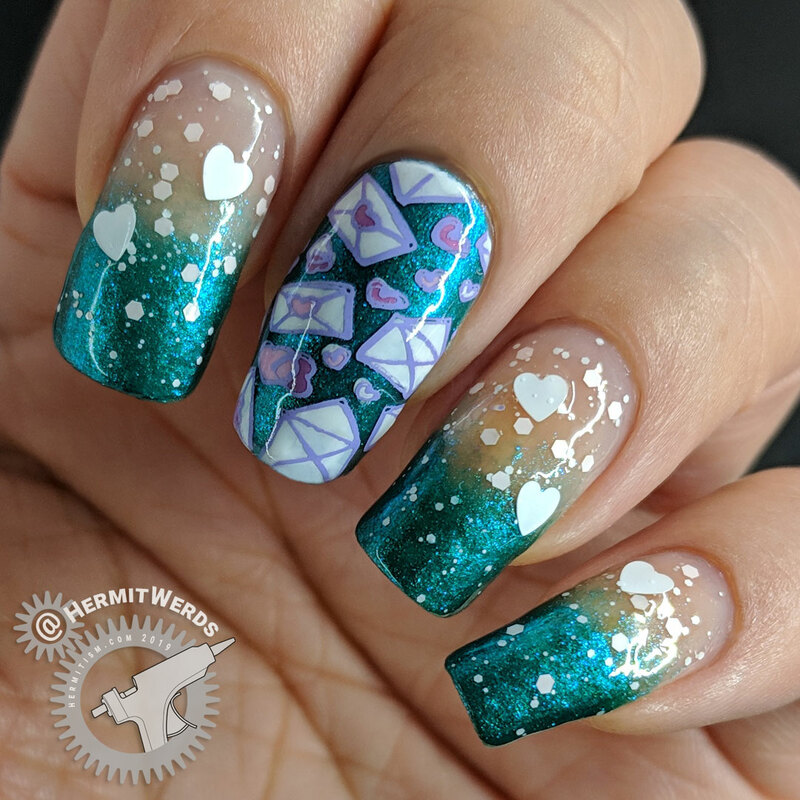 I had another nail art design drawn up for the review, but then I realized I was supposed to be using Sinful Colors’ “Love Sprinkles” for Valentine’s Day so I could knock if off my un-used on the blog list. (I’ve used it plenty, they pretty much bring it out every year so I got my bottle ages ago.) Woops! Luckily this plate fits my style well so it was very easy for me to come up with another design. 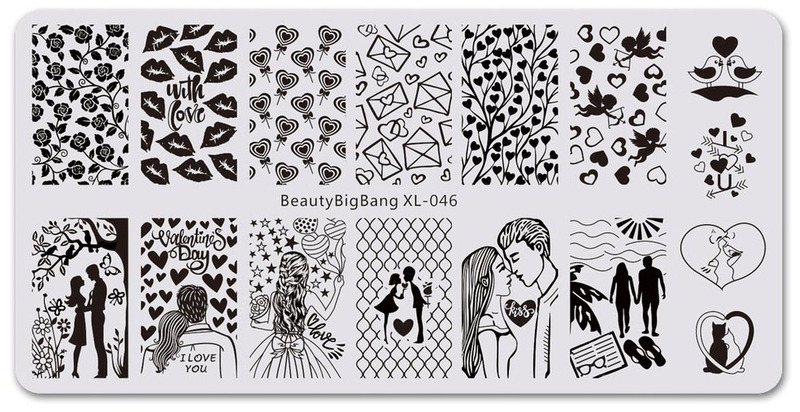 If you are also intrigued, check out BeautyBigBang XL-046 for yourself and feel free to use my discount code (hermi) for 10% off your order. (Non-affiliate code). Maitri’z (@maitriznailz) and Ramya (@rums2016) ran a wonderful collab for Valentine’s Day whose sole purpose was to simply not use red. Pink was okay though, so I still made the cut. It’s clear a lot of people were inspired by this prompt because of how many ladies participated (97). That’s pretty amazing for a one-off collab. 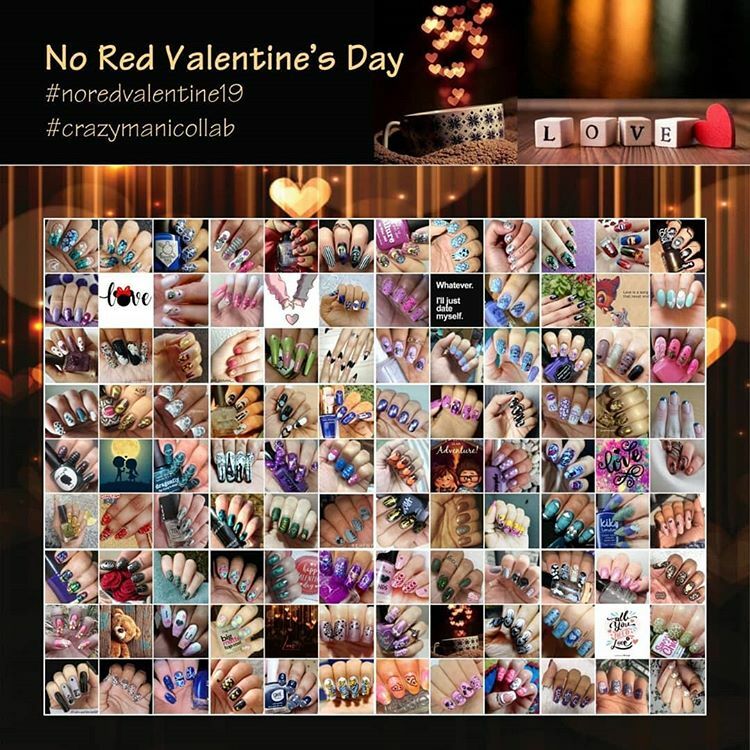 Check out the collab tag #noredvalentine19 to see everyone’s individual design. Until next time, friends! And if this is the last post you see before Valentine’s Day, I hope you have a great one!